Helena Hauff's sought after 'A Tape' compilation is getting a vinyl release this April via Dark Entries. Released back in March 2015, the compilation features tracks from Hauff from 2011 and 2014. The compilation is a heady blend of electro, techno and acid, and was previously released on tape cassette. 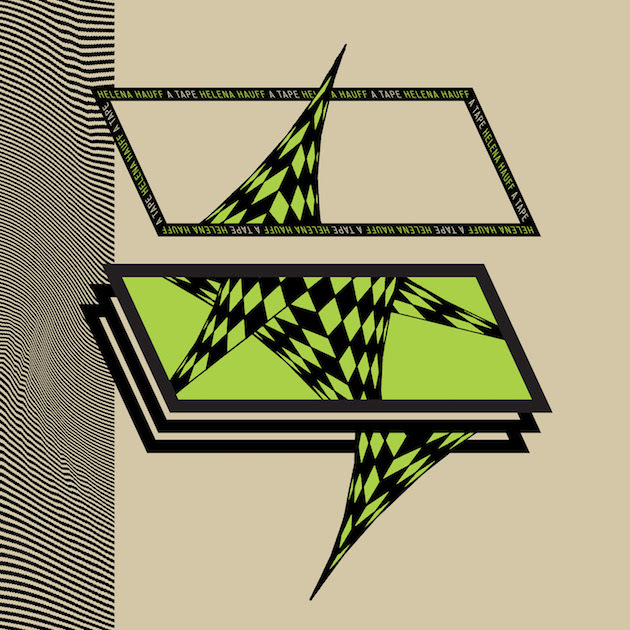 The compilation's tracks represent Hauff's earlier output that was largely created using a range of analogue synths and drum machines, including a TB-303 and TR-808. The double-vinyl comes with a custom made jacket (below), which has been designed Eloise Leigh, and there's also a double-sided postcard with some note about the release, too. Dark Entries describe the compilation as “forgotten sketches left on the cutting room floor." Clocking in at over 50 minutes, the compilation spans Hauff’s musical universe, from jacking acid-techno to krautish zone-outs and scuzzy feedback interludes. DJ Mag's Charlotte Cijffers sat down with Helena Hauff last month for our cover feature which you can read here. You can listen to some previews of the tracks below. Helena Huaff's 'A Tape' is out 8th April and can be pre-ordered here.